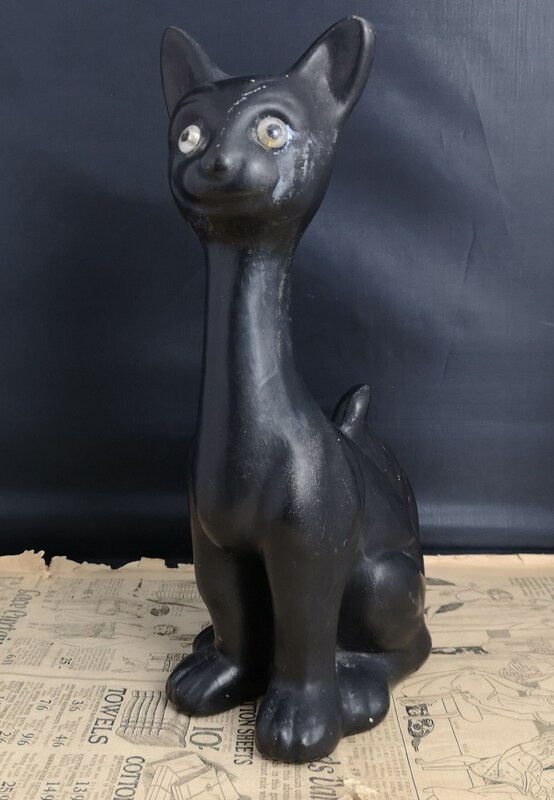 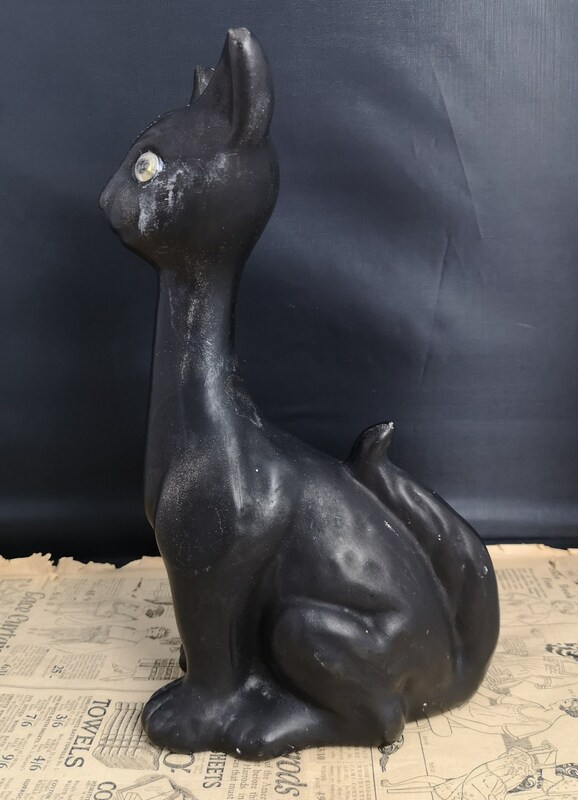 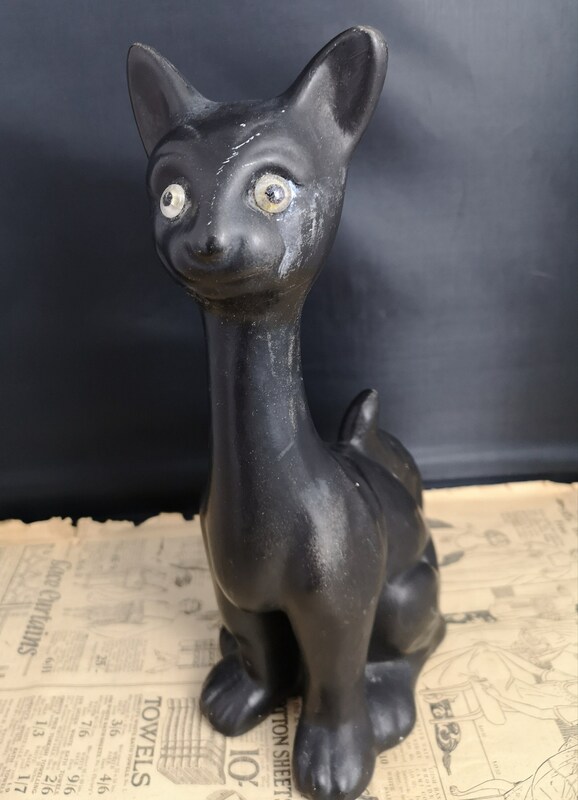 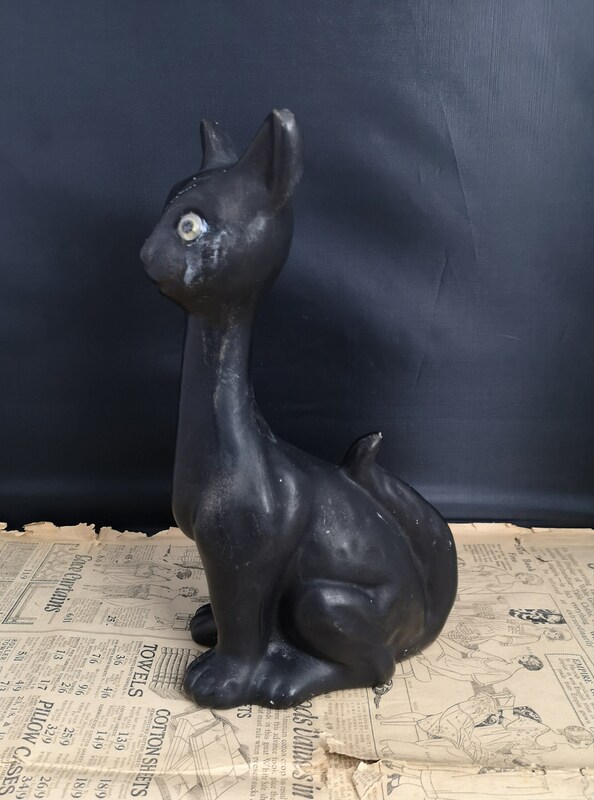 A large vintage Art Deco chalkware cat figure. 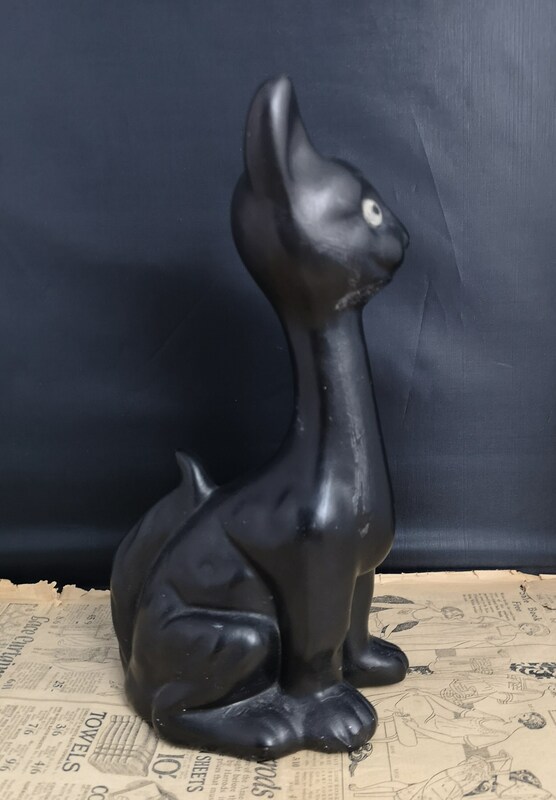 Matte Black finish on a chalkware base. 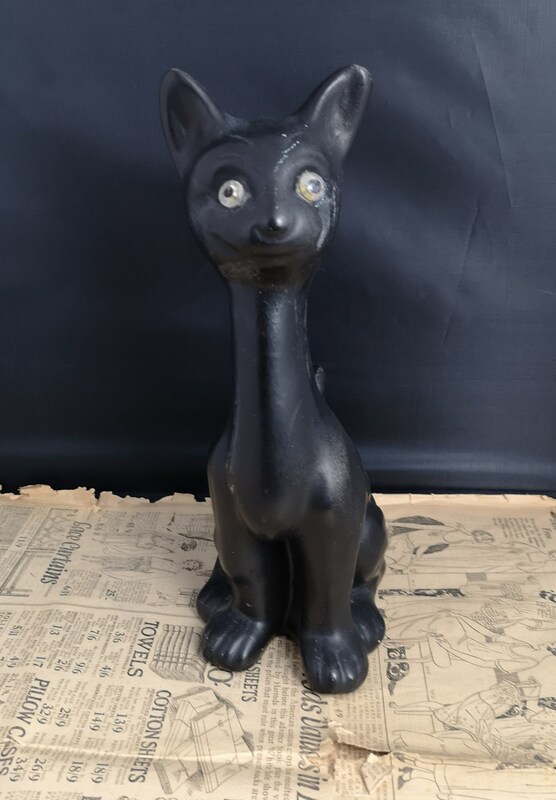 The cat has some comedic value and a happy cheeky expression, it is elongated and has white glass eyes. 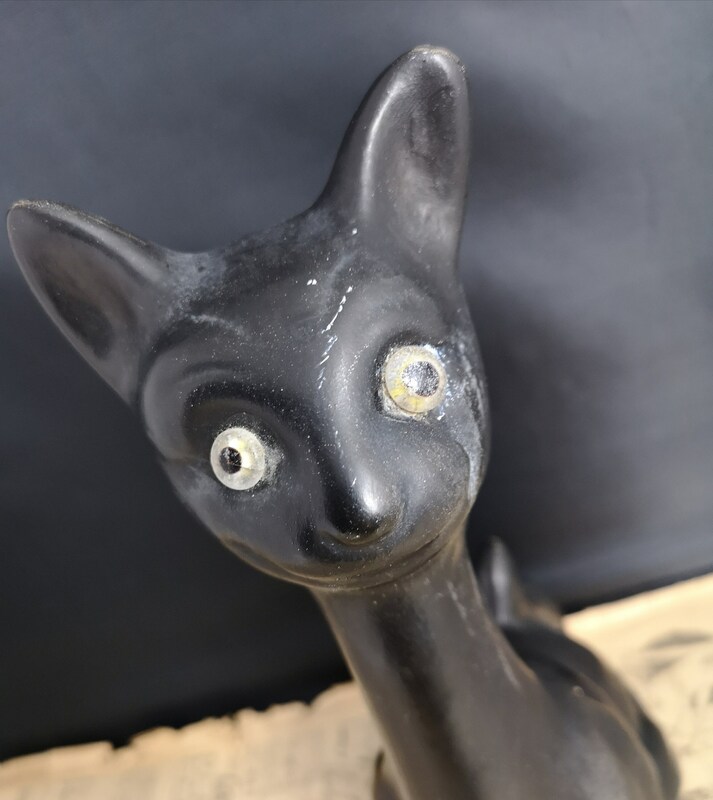 There are some signs of wear, some scratches on the black and one of his eyes has been glued in place at some point, no cracks. 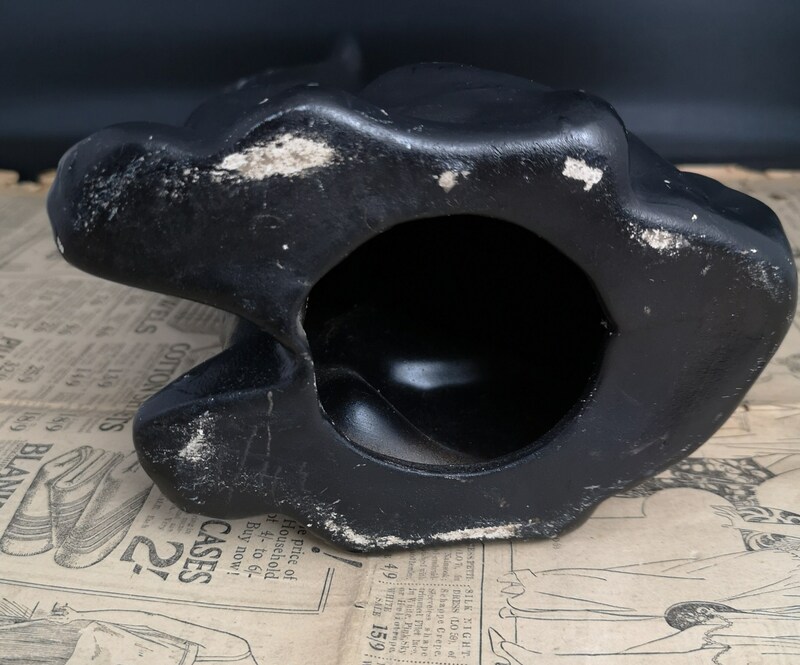 Hollow interior to some degree at the base. 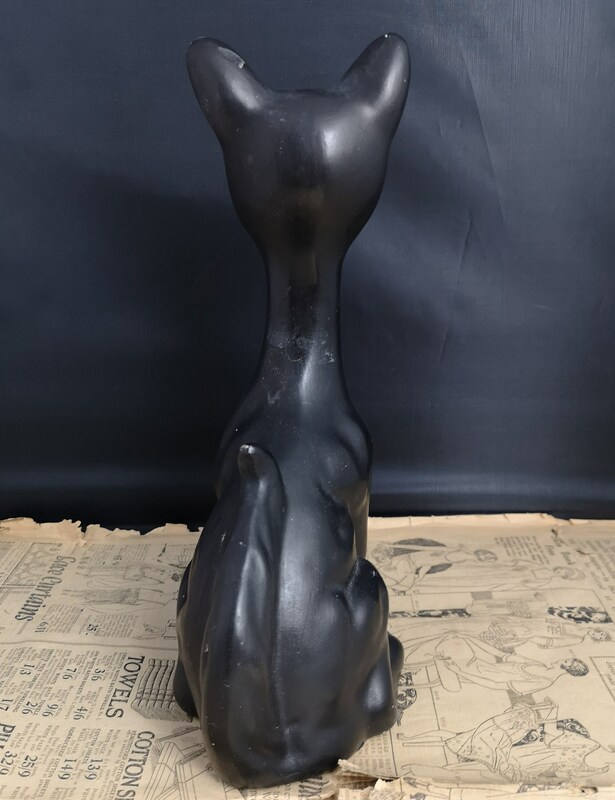 Approx 11" height, 4" width and 7" length.